Found this on my hillside, civil war era. Can you Id the letters? Nice Love Token! That’s a great find! First thing I saw was TAB.. Huge congrats on the love tokens! WOW!! Really nice find! I see THB or TAB. Regardless, do you know how cool that is?? I'm jealous. Absolutely fantastic find! A love token is a major bucket list item for me - well done!! 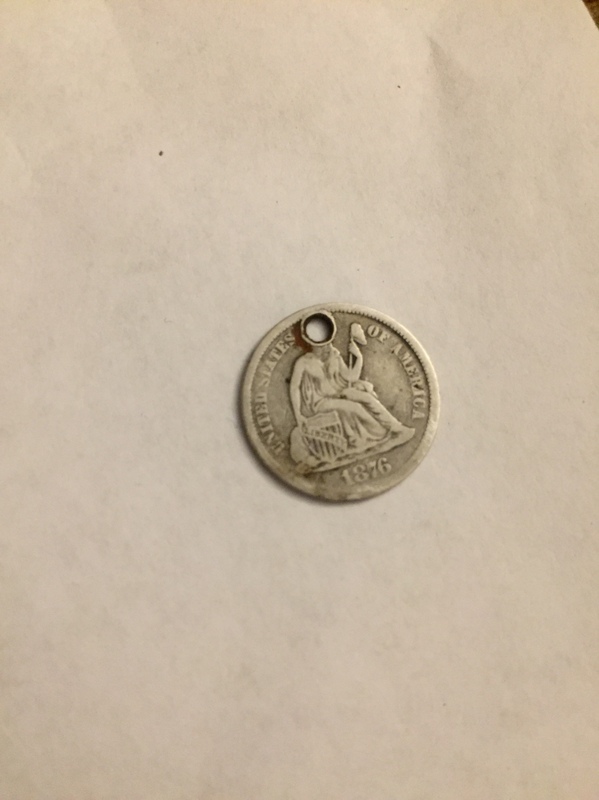 If you click on the “History” tab near the top of the main page, they have a series of links with a ton of info on the tokens - they were pretty popular from the mid- to late 1800s, and they have pretty strong collector interest today. Trying to learn a little about everything. How old do you think that dirt is? Haha you got me, I meant the house. But civil war battles happened here. Clearly, CLEARLY it reads “TEO”. And I would like it returned. Did you find the good luck token first?? It was last actually lol started with the headstamps. The year of the coin dictates that. Love tokens are rare, congatz on your find. I was lucky enough to find two over the years. i don't believe I ever posted them. Miss Liberty has a hole in her head... Nice find.